The new 3 Series will be one of the most advanced cars in its segment. The amount of tech BMW infused in it is astounding and it will even be more advanced than on some of the more expensive models in the range right now. One of the things BMW is rather adamant about is the new Parking Assistant which comes with a number of functions. Among them you’ll find the Reversing Assistant which helps the driver to exit parking spots or maneuver when space is limited. Yes, when you first read it, it may seem like something that shouldn’t exist on a BMW in the first place but not everyone was born with a steering wheel in his or her hands. For those who are not exactly confident in their skills in tight spaces, this will be a welcome addition. I can see it being extremely useful in Europe, where narrow streets sometimes become dead ends and require some rather sweaty reversing maneuvers to get out. This system is the only one of its kind in the new BMW 3 Series Sedan’s segment and is also a small step towards automated driving. The Reversing Assistant offers you the option of automated reversing in confined spaces or situations where the driver does not have a clear view, such as multi-story car parks or entrances to courtyards. To do this, it stores the steering movements for any section the car has just driven forward along at no more than 36 km/h (22 mph). 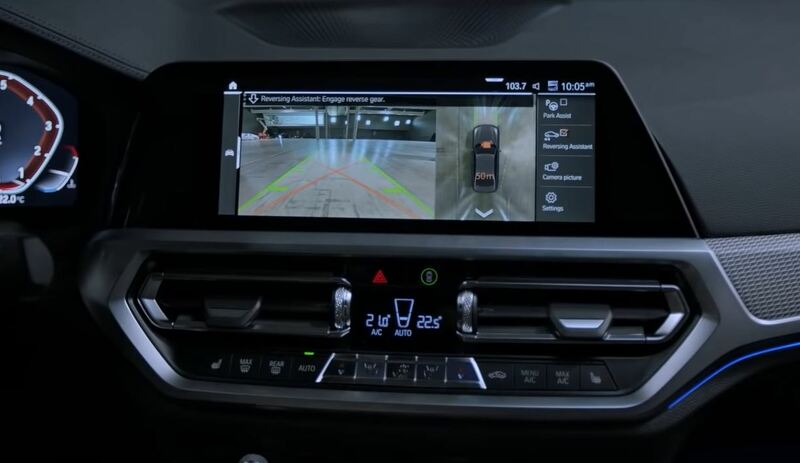 The system is then able to reverse the vehicle for distances of up to 50 meters by steering it along exactly the same line it has just taken when moving forward, while all the driver has to do is operate the accelerator and brake pedals and monitor the area around the car. The Reversing Assistant can back the car up at a maximum 9 km/h (5.5 mph) so it won’t be that helpful if you’re in a hurry.